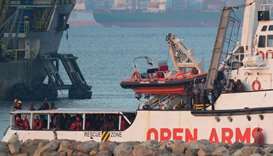 Rescue charity ship Open Arms received the green light to set sail from the port of Barcelona on Wednesday but will not be allowed to return to the central Mediterranean to save migrants. Dozens of migrants stuck on a ship since their rescue in the Mediterranean 10 days ago, will be allowed to disembark in Malta after four European countries agreed to take them in, Malta's prime minister said Saturday. 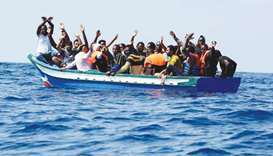 The International Organization for Migration said Friday it had flown 160 migrants home to three African countries from the Libyan capital amid heavy fighting on the city's outskirts. 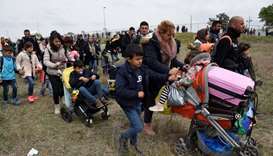 Greek police clashed on Saturday with groups of migrants and refugees camped in a field close to the country's northern border hoping to cross to neighbouring countries and travel onward to northern Europe, witnesses said. Asylum-seekers on Friday ended their occupation of the main Athens railway station as a protest demanding access to the border and passage to other EU states picked up steam in northern Greece. Three migrants appeared in a Maltese court on Saturday charged with terrorist activity after hijacking a merchant vessel and re-routing it to the Mediterranean island. 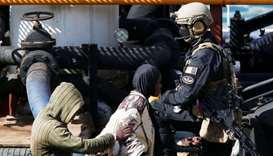 Five men were arrested Thursday after Maltese armed forces took control of a tanker that was hijacked by migrants off Libya and the ship docked in Malta. 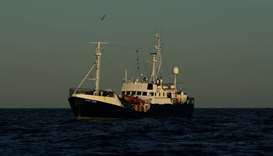 Eighty-seven migrants in a wooden boat have been rescued off the Italian island of Lampedusa and are due to arrive in Malta on Wednesday, officials said. 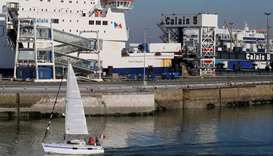 Migrants hoping to reach Britain scrambled aboard a cross-Channel ferry in the northern French port of Calais, sparking a vast police sweep of the ship, officials said Sunday. 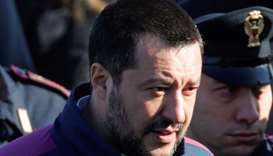 An Italian Senate committee voted on Tuesday to block an investigation into accusations of kidnapping against Deputy Prime Minister Matteo Salvini over his decision to hold 150 migrants on board a ship for five days last August. 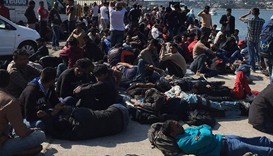 The Council of Europe rights body Tuesday condemned the ‘inhuman and degrading treatment’ of migrants and asylum seekers held in Greece, adding it had credible allegations of abuse by police. More than 16,000 migrants returned home from conflict-wracked Libya in 2018 under a "voluntary return" programme run by the International Organization for Migration, the agency said Wednesday.